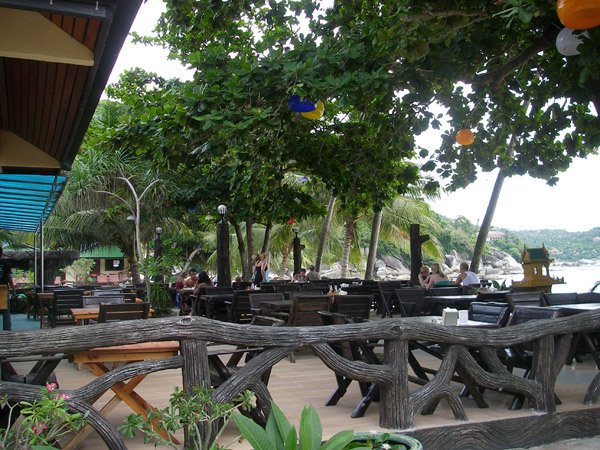 Thong Nai Pan Yai has plenty of beachfront places to try. 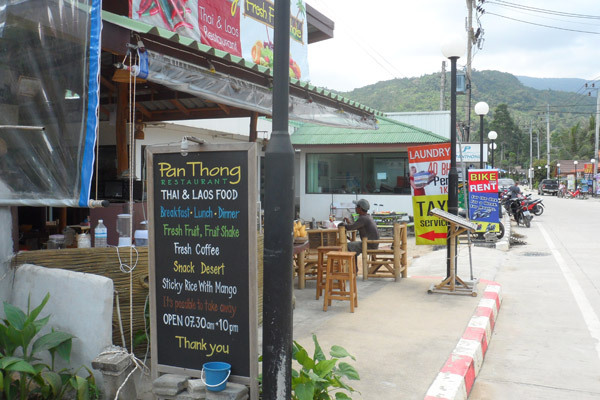 Visitors to Thong Nai Pan Yai looking for reasonably priced places to eat and drink are spoilt for choice. 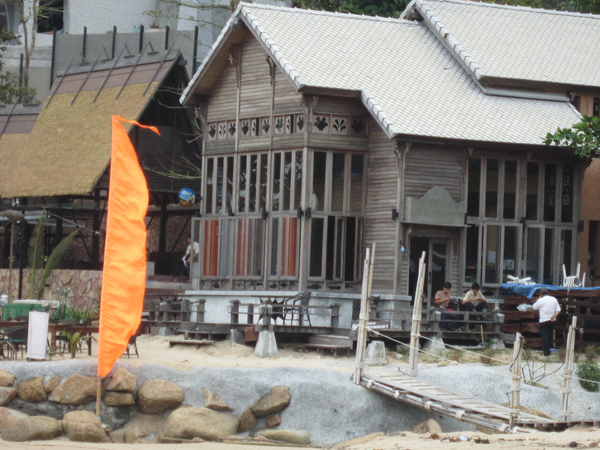 In 2013 Panviman opened a restaurant on Yai beach. It is accessed via a small bridge from the beach or from the 'temple' road. 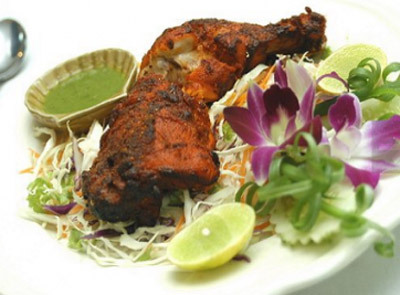 Panviman along with Ash restaurant offer the best 'fine dining' options. Ash is the beachfront restaurant belonging to Havana Beach Resort. The owners are half Indian and so they know something about good Indian food. Ash not only does decent Indian cuisine but also a few Caribbean dishes as well as Thai food. Ash without being pretentious or particularly expensive is one of the best dining options on Yai beach. Read more. Panviman captured the Thong Nai Pan Yai side of the penisula separating the two beaches of Thong Nai Pan. They are experienced outfit and so expect good service. So far the Panviman cafe on Yai has been a flop. 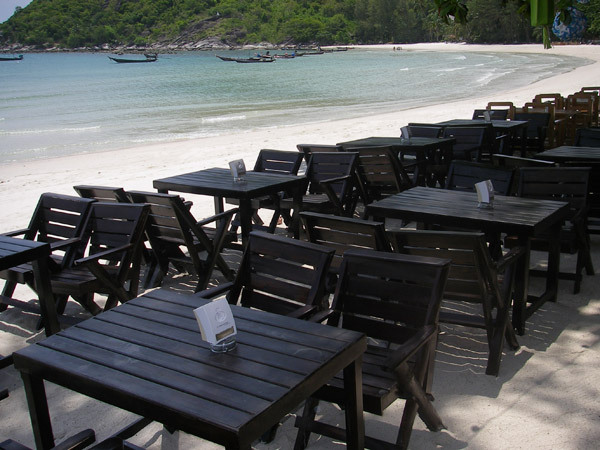 However, there is now access to Panviman's main restaurants via Yai beach. Longtail Beach Resort has a good chef working in the kitchen. The menu focusses on Thai food and especially authentic southern Thai food that is often described as 'hot and sour'. We recommend you try Penang Gai Tort - Penang chicken curry: it combines the flavors of coriander, galangal and lemon grass. The restaurant attached to Dolphin Bungalows is called 'Dolphin Bar and Grill'. It offers grills, Thai food and Western food. 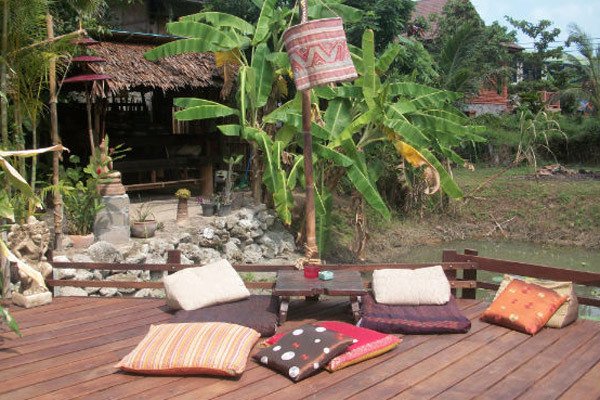 Kim and Giet have found a great location next to Thai Terrace Bungalows. Their new restaurant, 'Siam House' has been built and decorated with love and care. They have made a relaxing spot set back from the beach. There is plenty of comfortable seating. There are private salas, cushions on the decking overlooking the pond, and upstairs seating with mountain views. All the favourites from the old 'Dolphin menu' are on offer as well as a few more treats. Dreamland has a good spot for a restaurant. It is by the beach and shaded by two very old and large trees. It is also next to the Dreamland pool, supermarket and internet place. The menu has a range of Thai and Western dishes all at reasonably cheap prices. Being central,The Four Resort is perhaps the best meeting place in Yai. They have plenty of stylish black tables and chairs on the beach. The trees here are often festoned with colorful decorations. The restaurant is better since the change in ownership. They serve a large selection of Thai and Western dishes. You're right on the beach and the views are great. Nice Beach Resort is between The Four Resort and Havana Resort. The restaurant for the resort has over 70 dishes on its menu. It is a good place for a snack even if you aren't staying in one of their bungalows. Pen's Bungalows always reminds me of the old Star Huts in Noi. They have everything on the menu from Thai food to Black Russians to pizza. It is an inexpensive place that is well organized and clean. Pen's have recently added a small beachfront bar made with thatch roof. There is seating at the bar as well as table and chairs on the beach. 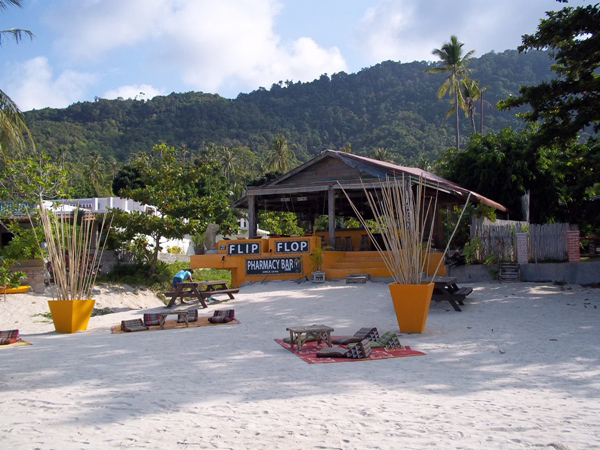 Flip Flop is a popular bar and a great spot to enjoy a drink. They have a good selection of draught and bottled beers as well as cocktails. There is a shady bar with pool table as well as mats, pillows and low tables on the beach. 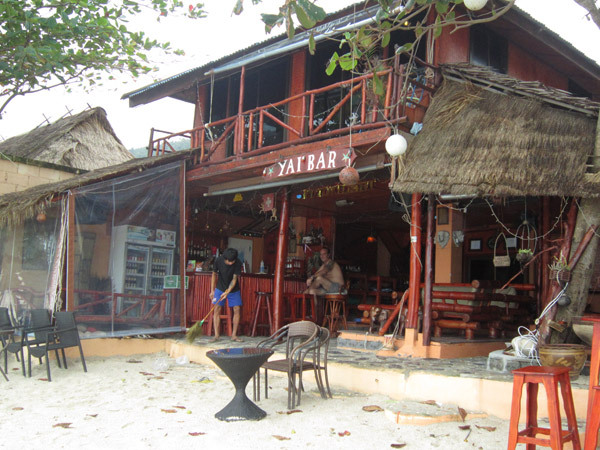 Yai Bar his a popular watering hole on the beach. 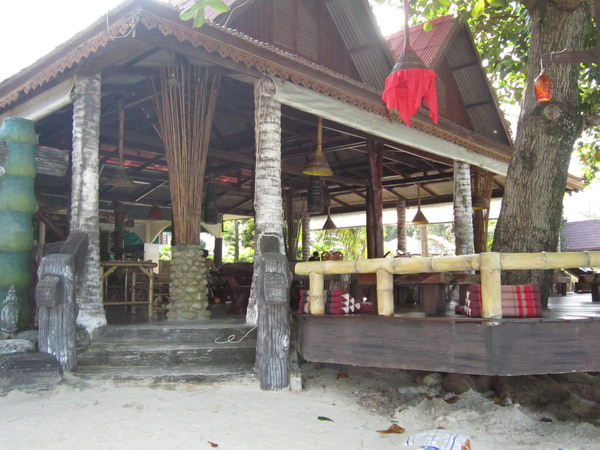 It is a 2 story wooden Thai style building with seating both inside and out on the sand. It is a lively bar with a good range of drinks on offer. During busy times they often put on a fire dancing show and get more of a party atmosphere going. Fidel's Bar is beachfront at the beach entrance to Havana Resort. It is a small bar with seating at the bar as well as on the beach. They stock bottle beer and spirits and also serve snacks. There is a big TV at Fidel's and they can sometimes be persuaded to show the football. Candlehut Resort in 2013 opened The End Bar and Restaurant. 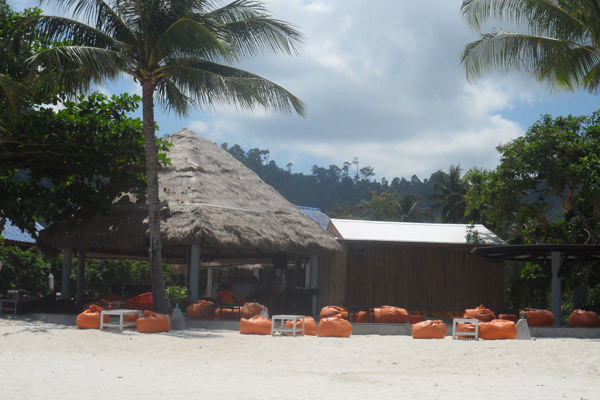 It's right on the beach and the orange beanbags make it unmissable. They have an ambitious menu that should be approached with caution. However, it's a good place for a cold beer or cocktail on the beach. There are plenty of places to eat and drink when you walk along the main Thong Nai Pan Yai road complete with its new street lights and curbs. It is not exactly a street but there are lots of shops, bars and restaurants to check out. 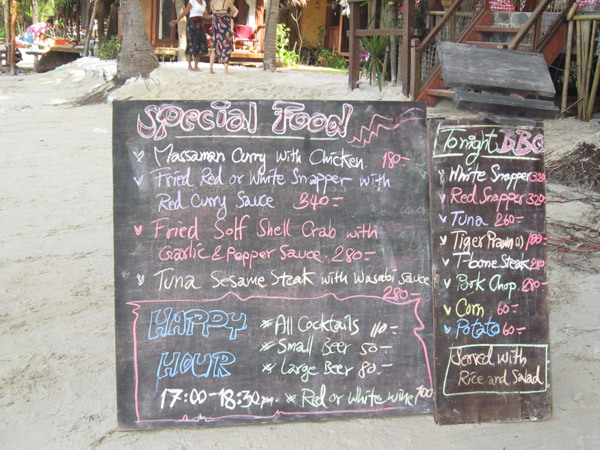 Here are a few eating options in Thong Nai Pan Yai village. 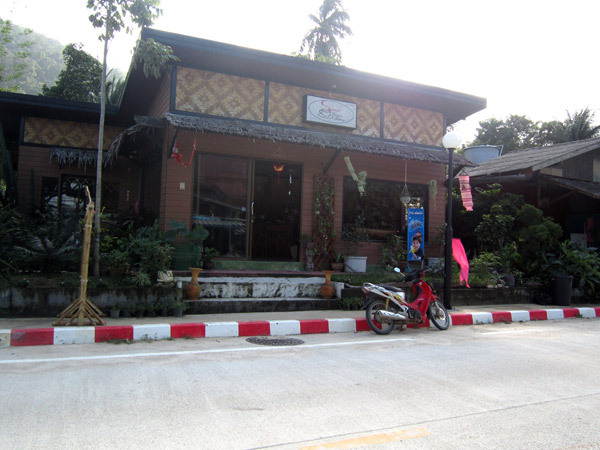 Pa Thong's is a fairly new Thai restaurant located at the start of Thong Nai Pan Yai village. It is a very popular spot that does a good selection of authentic Thai dishes at prices slightly less than the beachfront restaurants. It is full most nights of the week. They also sell small Singha beers for 50 Thai Baht, and so lots of people go to Pa Thong's for a few cold beers early evening. Su's Bakery is a German-Thai team that runs a cafe, bakery and small bungalow business. They do good German dishes such as well as Thai food. Being a bakery it is also a good spot for a sweet treat or some pizza. Su's Bakery is near the start of the main road on the beach side. 7-11 is, of course, not a restaurant but as good as if you are on a budget. 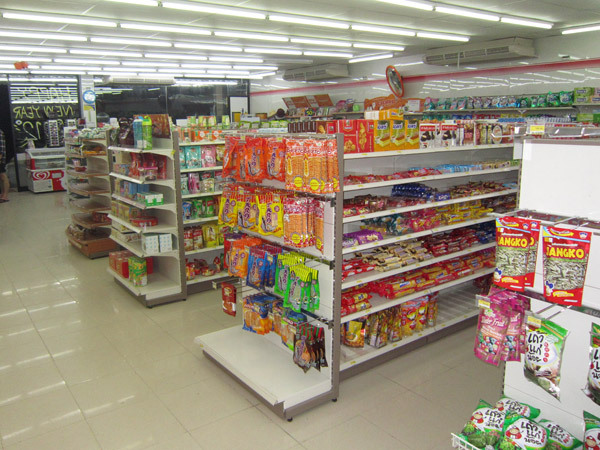 7-11s are a great institution in Thailand providing good quality convenience items and an interesting range of food products. Being Thong Nai Pan, the 7-11 here is slightly more expensive than the one down the road in Ban Tai. This is a great road side restaurant run by a local family. Honey Travel Restaurant do good noodles, fried rice and other classic Thai dishes. All at good prices. Wisit Burger is on a good road leading to the beach that includes Nu Bar and Living Room and the Chill Out Bar. Wisit provides burgers to satisfy those late night urges for junk food. Pan Thong Restaurant is next to 7-11. It is a small restaurant that does Thai and Laotian food at reasonable prices. They also have shakes. For many, the great thing about Pan Thong Restaurant is it home cut chips. Chicken and chips costs 100 Thai Baht..
Thong Nai Pan Yai has a better nightlife than Noi. There are several bars and restaurants to go for a drink in the village. 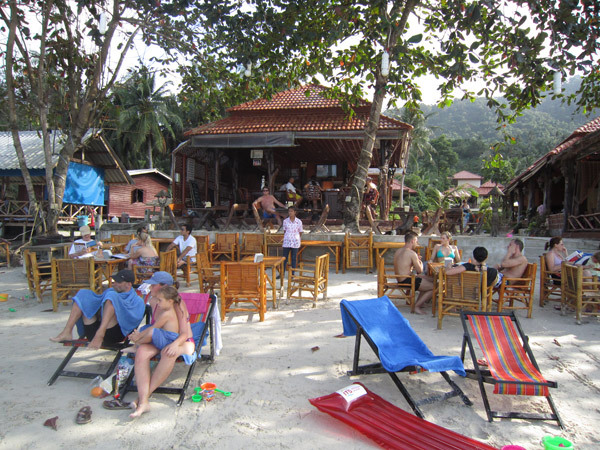 Many of them retain that 'old skool' Koh Phangan vibe where you can hang out, play games, have a few beers and maybe watch TV. Game Bar is on the main road, mountain side. It has a couple of tables and chairs outside, but most of the action goes on inside. This is a friendly Thong Nai Pan Yai bar that has collected many friends over the years. in the evening Game Bar turns its glitter ball on and often has a lively atmosphere. Tuesday and Friday are party nights. They have DJs playing a range of tunes. During busy times on the beach the parties are well attended. Game Bar is a good late night drinking option. Indian House is down a quiet path to the beach. It is located on the first path after entering Thong Nai Pan Yai village. Here you will find a backpacker style place that does food, beer and cocktails. Indian House Buddha Raksa is a pleasant place to hang out, play back gammon and have a few cold drinks. Indian House is less of a party spot than Game Bar. The owners Sin and Oay are very friendly. They have a few bungalows and rooms to rent. Prices start at 1,000 Thai Baht. The bar / restaurant is usually closed by midnight so this is not a noisy place. Indian Bar has a loyal following of returning customers. 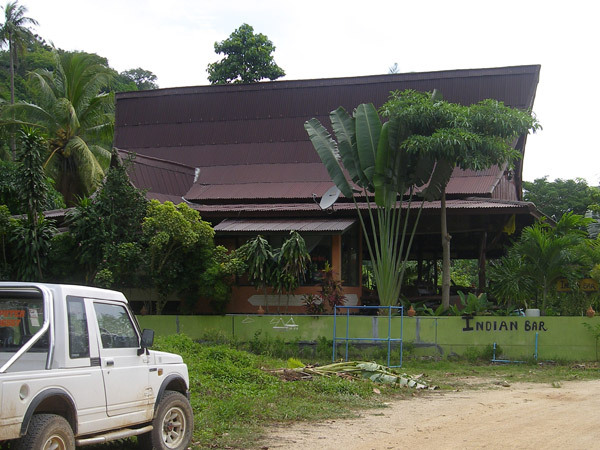 Chill Out Bar is at the end of the road that also has Wisit and Deeva's. 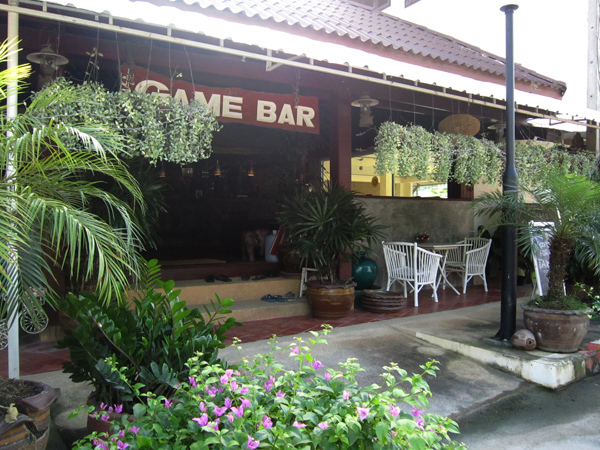 As the name suggests, it is a relaxed bar where you can get a cold Singha or Chang, a bucket or cocktail and play a game of pool. Chill Out Bar has a happy hour from 9pm to 10pm every night. It has a party on Saturday. It also shows Premiership Football. Not a tribute bar to the American grunge band; rather the latest business venture by Ouk at Paradise Bungalows. It is a basic but cool bar that offers BBQ and star viewing from the rooftop seating area. If someone brings a TV it is also a spot to watch live sports. Bamboo Bar is affiliated to Bamboo Bungalows. It is run by a ex-pat / Thai couple who do the simple things well - cheap cold beer, good tunes and clean toilets. 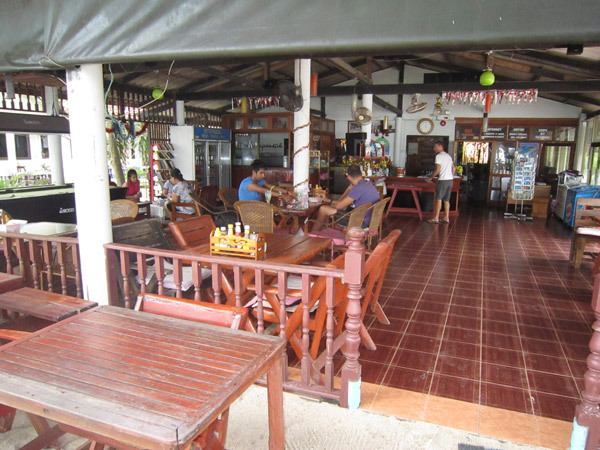 Over the years Bamboo Bar has become one of the most successful bars in Thong Nai Pan Yai.